Back in 2014 I visited the highest point in North Yorkshire, Whernside. It was a cold, windy, and overcast December day and I wasn’t certain it would be safe to reach the summit even when I set off from the car. But reach it I did (despite a temperature of -6°c at the top), and I lived to tell the tale. 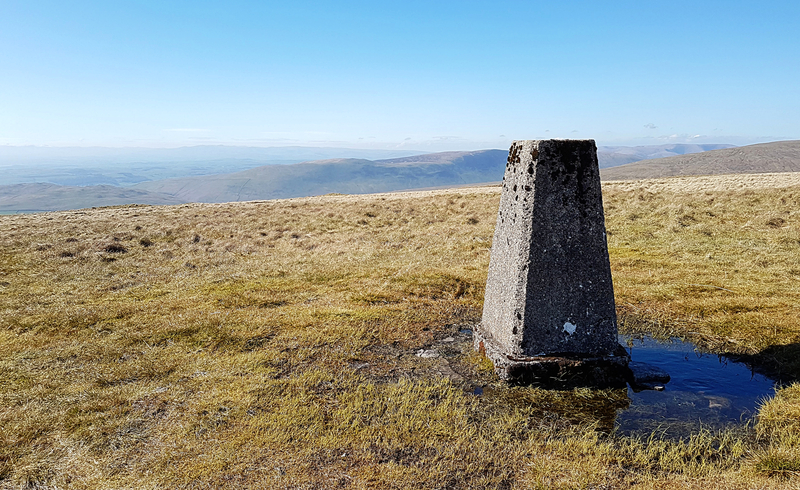 I remember looking west to the only other summit in sight – one of almost equal magnitude, but with no clear paths leading to its lonely trig point – and later discovered this mammoth lump of open moorland was the highest point in Lancashire: Gragareth. Returning to the area more than three years later and in much more favourable weather conditions, I parked up in the pretty Yorkshire village of Ingleton and along with my good buddy Craig we picked up our route at the River Twiss, heading up the well-signed footpath towards Thornton Hall. Being mid-May, we rose steadily towards the moor across soft and grassy meadows which were filled with frolicking lambs and their tired-looking mothers, and soon joined the minor road heading north towards the main body of the mountain. Taking the clear path northwest across the moor by Marble Steps Pot, we crossed the drystone wall and began the long slog northeast up to the summit trig following the Yorkshire/Lancashire border. The going was tough despite the sunny weather, the bog not yet having firmed up after a very wet winter. As the parallel walls drew closer and finally intersected, all that remained was a short trot along the summit plateau to the trig. 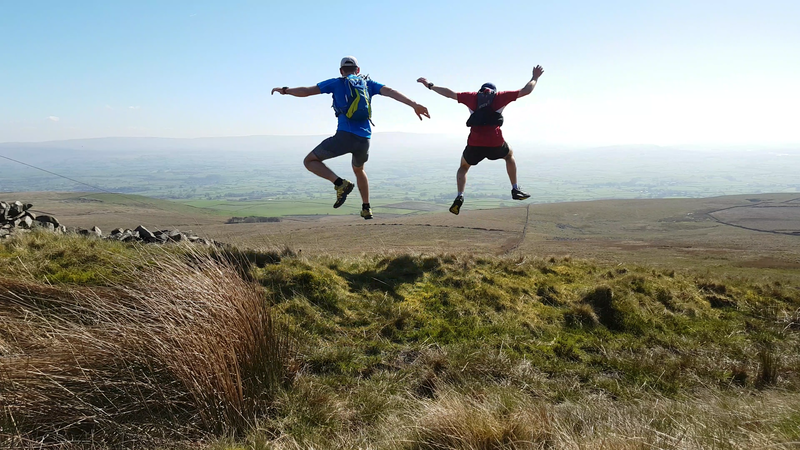 The views were substantial – all the way to Helvellyn and the Lake District to the west, the Forest of Bowland AONB to the south, the Sedburgh Hills to the north, and the majestic twin peaks of Whernside and Ingleborough to the east, We’d only seen one other person since leaving the road. Having such a beautiful vista all to ourselves was a treat, but it was time to head back to the car. Continuing a couple of hundred metres north seemed the best option, and we followed yet another drystone wall down the perilously steep hillside to Bullpot Bank to rejoin the vehicle track (marked Turberry Road on the OS map) back to Blea Dubs. For our route back to the village we chose to follow the popular Ingleton Waterfalls Trail through the Twiss Valley. It was a surprising treat with narrow bridges, exposed rocks and roots, and steps aplenty. 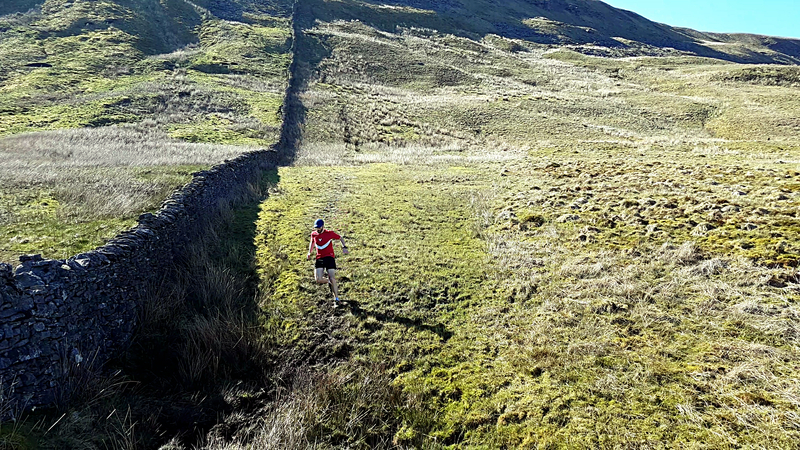 Seeing the beautiful cascades and traversing the twisty technical path was a joy reminiscent of a Swiss valley, and we thought it would be an ideal place to get some training in for a European Mountain Ultra. Looking back at this day, it has certainly been one of my favourite county tops so far. For a area with such easy access, its tranquillity is refreshing – it is surely overshadowed by the more famous peaks of the Yorkshire Dales, but along with this comes the ease of access and popularity. 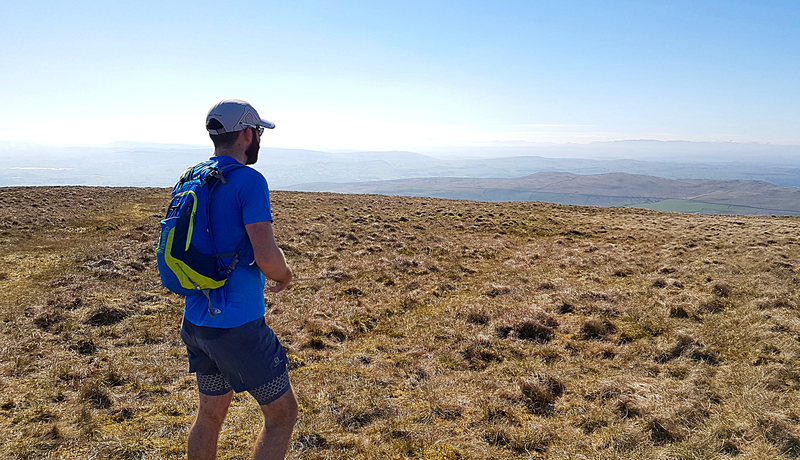 On any day the beautiful satisfaction of being alone on a summit is hard to beat, and as hill walking and running gain traction as pastimes these moments are becoming more and more scarce. So get up there while you still can, before the word gets out!